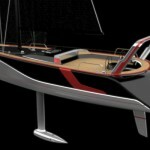 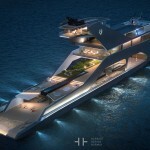 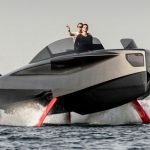 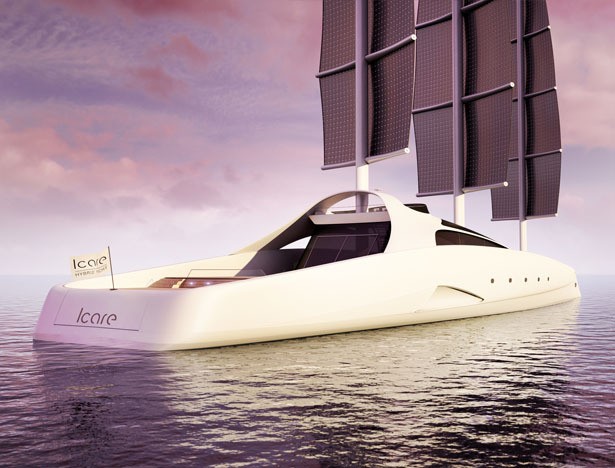 Designed by Maël Oberkampf, ICARE Hybrid Yacht features carbon-fiber and structure design with epoxy. 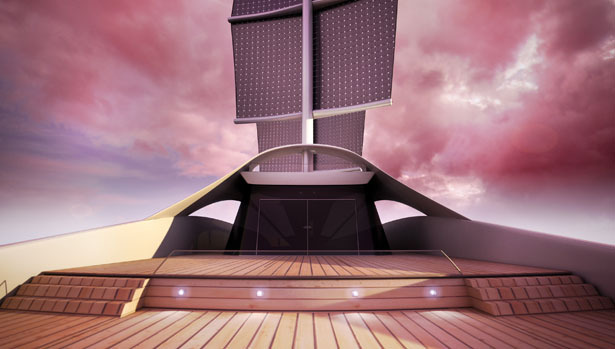 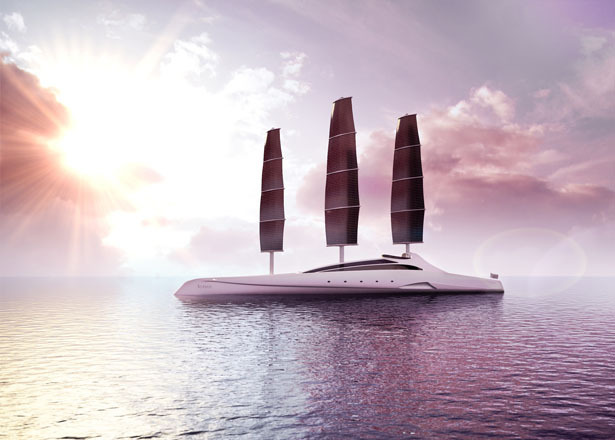 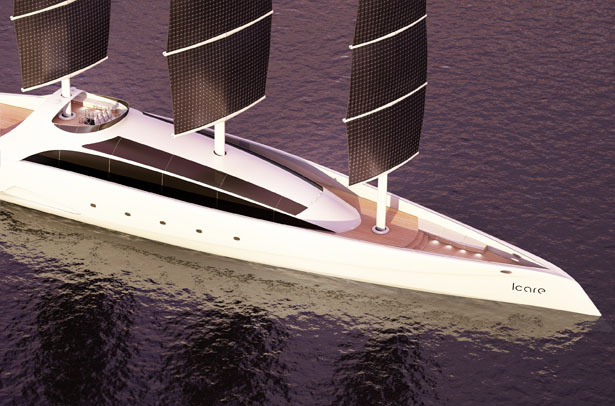 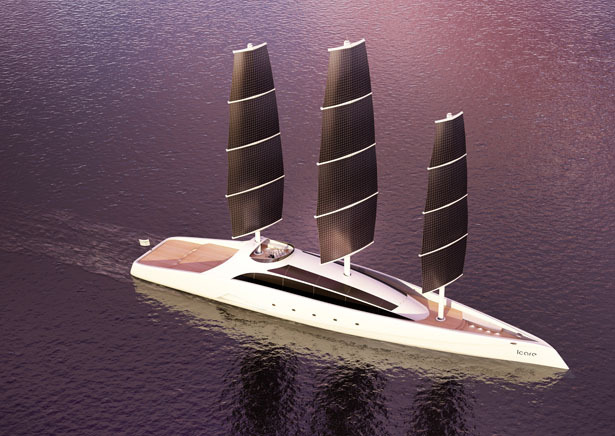 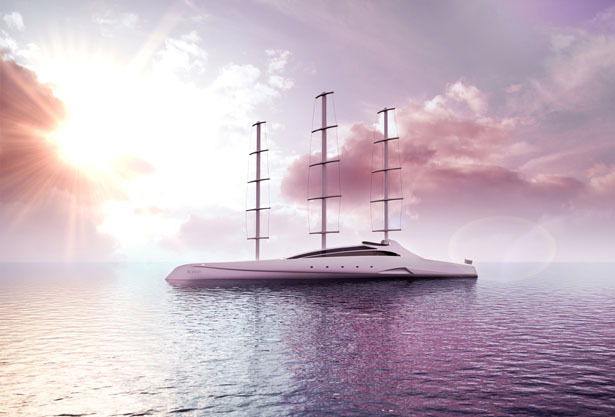 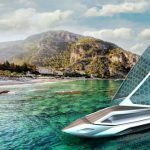 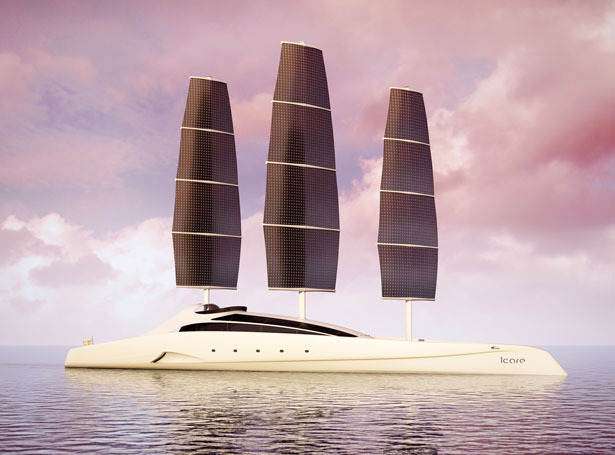 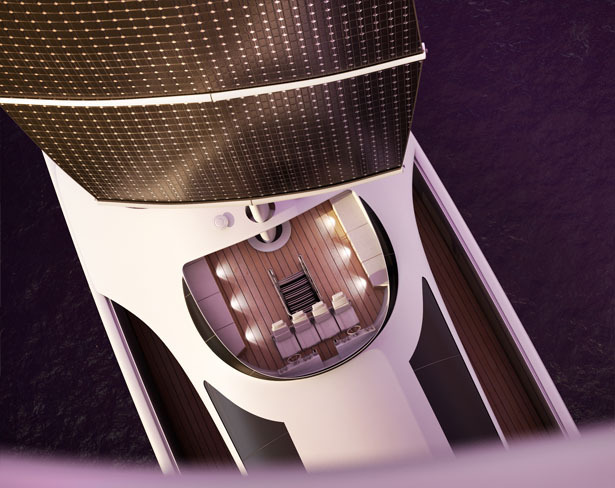 This yacht utilizes flexible solar sails for additional electric propulsion. 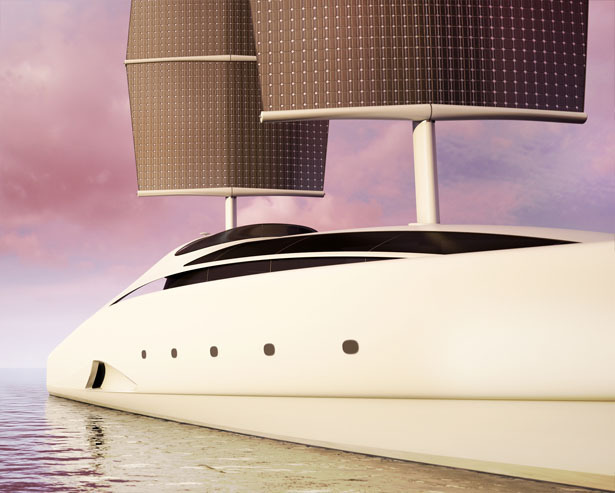 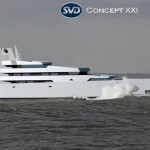 During cloudy day when there’s no sun or wind, this yacht can use gas turbine engines. 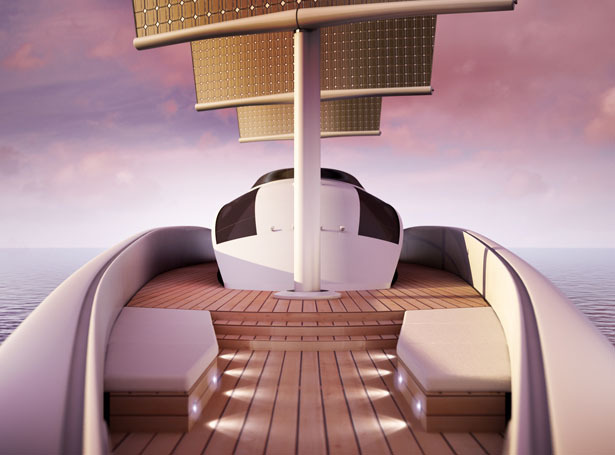 Equipped with hi-tech system, this yacht provides you with enjoyable ride, optimum sails orientation can be done automatically. 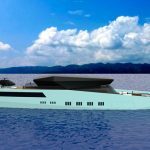 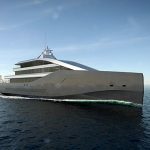 Tuvie has received “ICARE Hybrid Yacht” project from our ‘Submit A Design‘ feature, where we welcome our readers to submit their design/concept for publication. 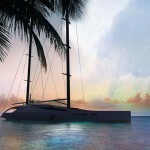 Tagged as cloudy day, crew members, electric propulsion, gas turbine engines, solar sails, system 2c, yacht specifications. 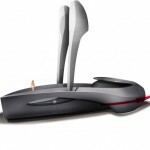 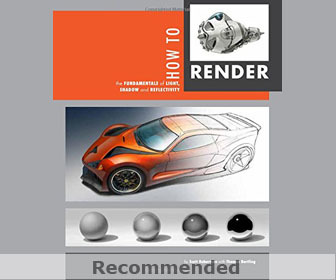 Make a submersible model & have masts retract into hull, add Ghost Manta sub & other PWC. 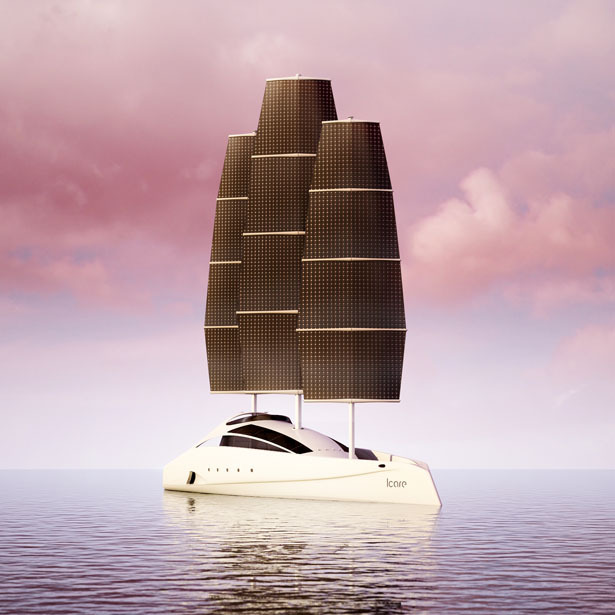 Add LENR module for power.